This is the website of members of the Baha’i Faith in Arlington, Virginia. The Arlington Baha’i community is as diverse as the country in which we live. All races, ages, and social classes come together to create a warm and authentic sense of community. What the members of this community share in common is their adherence to the Baha’i Faith. 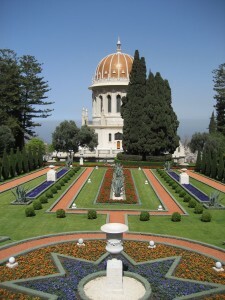 The Baha’i Faith is the youngest of the world’s independent monotheistic religions. Founded in Iran in 1844, it now has more than five million adherents in 236 countries and territories. Baha’is come from nearly every national, ethnic and religious background, making the Baha’i Faith the second-most-widespread religion in the world. Baha’is view the world’s major religions as a part of a single, progressive process through which God reveals His will to humanity. Baha’u’llah (1817-1892), the Founder of the Baha’i Faith, is recognized as the most recent in a line of Divine Messengers that stretches back beyond recorded time and includes Abraham, Moses, Buddha, Zoroaster, Christ and Muhammad. The central theme of Baha’u’llah’s message is that humanity is one single race and that the day has come for humanity’s unification into one global society. While reaffirming the core ethical principles common to all religions, Baha’u’llah also revealed new laws and teachings to lay the foundations of a global civilization. The worldwide Baha’i community, composed of people from virtually every racial, ethnic and religious background, is working to give practical expression to Baha’u’llah’s vision of world unity. We invite you to learn more about the Baha’i Faith and benefit from the spiritual and practical insights found in the Revelation of Baha’u’llah, God’s message for humanity in this day.